GEN Brasil is a “navigator” developed to drive the entrepreneurs in a very competitive and complex environment; it enables to reduce timing for market penetration, because shows the better ways for business development on the territory. 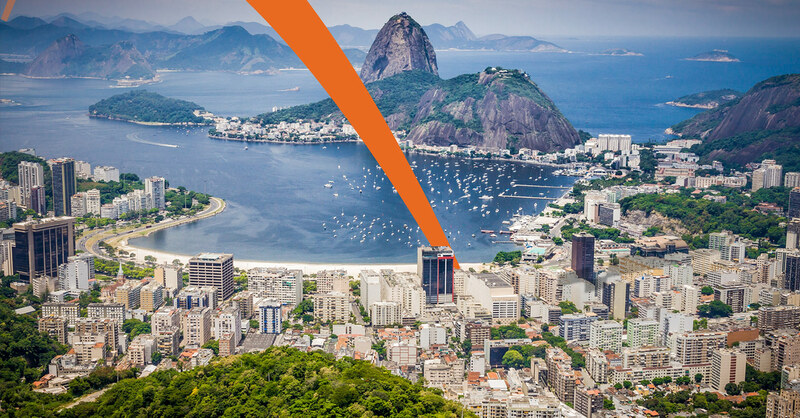 GEN Brasil is a “one stop source”, because it offers the full range of services to companies that wish to start a commercial branch, implement a production site or simply sell in Brazil. GEN Brasil simplifies the access to the market, because it takes care, on behalf of the Client companies, of the entire process related to the business entrance and development in Brazil, starting from the “theoretic” stage up to the “actual” direct implementation on the market. GEN Brasil provides the Client companies with the hosting of their own subsidiaries, on the startup phase, thus cutting initial costs on offices and personnel. GEN Brasil is composed of European and Brazilian professionals, operating in both Europe and South America. They grant support in every stage of the business development, with competencies on the various company functions. team members also have expertise in clearly defined areas (e.g, mechanical, cosmetics, clothing, etc. ): this allows them to deeply know the internal dynamics of specific sectors. European staff is the main reference of the managers of Client companies, with whom it shares the solutions and strategies for effective entry into Brazil. In Europe are processed “ad hoc” studies, as business plans and feasibility studies, while the local staff in Brazil implements the services and supports in the territory the client companies. The “geo” activities in Brazil count on the logistical and operational support of the Pieracciani Ltda, a company operating since 1992 in business and management consulting for most of the 500 largest and best performing companies in Brazil (Exame magazine). It is based in São Paulo – SP, in the financial area Brooklin Novo. The “geo” activities in Brazil count on the logistical and operational support of the Pieracciani Ltda, a local company with 23 years of history in the entrepreneurial consulting. The Brazilian BU is headed by Laurentino Bifaretti, key account manager GEN Brasil for the Brazilian market. 1) Strategy Brazil: business analysis, market and development strategies of foreign companies access to the world of Brazilian business and vice versa. 2) M&A: identification of local partners and support to the development of alliances. 3) Operation: feasibility studies, startup, operational and logistic support in Brazil. 4) Management Consulting: innovation and knowledge management, process excellence, management of change, research of personnel (inclusive selection of managers for key functions). Entrepreneur, inventor, researcher and manager. Responsible for start-up and recovery of various companies, he is member of a dozen boards of companies and NGOs. CEO of Pieracciani – Associate Engineers – which he founded in 1992, Valter has directed more than 500 successful projects for companies such as Nestlé, Petrobras, Tetrapak, Bristol-Myers Squibb, Pirelli, Avon, Odebrecht, AmBev and others. He was named, by the Brazilian Ministry of Science and Technology, Director General of FIESP ABNT, in 2002, resulting in the historic recovery of the organization. For over 10 years, he has served Municipal, State and Federal governments in Brazil, as a consultant, appointed by President Fernando Henrique Cardoso, for the Agribusiness sector. He began his career in 1978 as an engineer in the department of Research and Development at SKF and, later, in Engesa and Pirelli. He worked in Italy, Germany and Turkey. Since the early 90s, Valter started the activity of university professor. He is author of the books “The quality is not a myth and it works” (3rd edition) and “Factory of innovations” (2nd edition). Valter Pieracciani graduated in mechanical engineering from the University Maua in São Paulo, has a Masters in Administration from Mackenzie and a Master in Business Administration from PUC-SP. In addition, he specialized in Industrial Administration from the University of Rome (Italy). He has worked in Brazil for CERG Finance, Price Waterhouse, Rummler-Brache Group, Synchro Systems and Trevisan, where he accumulated extensive experience as an executive in management consulting. In the public sector, he has led consulting projects and training in management and was representative of civil society in the steering committee of the Institute of Quality Paulista, São Paulo State. He has a Master degree in Production Engineering from USP, a postgraduate Master in Business Administration from EAESP / FGV and is practicing for the Master in Quality Management in UNICAMP. As a teacher at FAAP, teaches disciplines “Business training” and “Innovation Management”. Hernani led innovation management processes, startup, organizational change and quality management, in many national and multinational companies. Mechanical engineer at the Faculty of Industrial Engineering – FEI. Consultant with over 12 years experience in project management for major national and international organizations. He worked for 26 years in large corporations, directing the operations of R & D in Latin America. It has experience in the automotive, food and packaging, having been responsible for the development of industrial projects and programs related to government incentives on technological innovation. Director Partner of Pieracciani – Associated Engineers. Degree in Mechanical Engineering at the Faculty of Engineering Maua – São Paulo, Julio has gained experience as a director, advisor and consultant in the metallurgic, automotive, food, beverages and health services. He developed great technical and administrative capacities, working to restructuring and remodeling processes, industrial management, implementation of quality management systems, staff training. Nicola, a lawyer with decades of experience, is registered in the Register of lawyers in New York and Montreal. It was General Counsel of leading companies (BASF Corporation, Montedison and finally Parmalat), where he worked on corporate matters, financial, relationships with supervisory authority, bankruptcy and related litigations (including class actions). He lived for over 25 years in the United States and is the author of numerous books and publications in Italian, English and German. Mauro is the executive director, branch manager of GEN Brasil in Italy; he manages the analysis and business development directly with companies and / or trade associations and business networks; defines and shares with the headquarters of client companies business plans and operational activities to be implemented in Brazil. Mauro has many years of experience in marketing / business for Italian, USA and multinational companies, such as Vodafone and Hutchison Whampoa. Mauro has a degree in Economics from the University of Pisa and a Master in Business Administration at the SAA-Management School of the University of Turin. Mechanical Engineer from State University “La Sapienza” in Rome, was technical advisor to the Court of Rome and the City of Rome. He worked in Pirelli Brazil – Tires Division, as a manufacturing engineer and was executive of Pirelli USA in New York. Back to Italy, he worked for Pirelli in Rome, in the department of mechanical engineering, and in Milan, in the department of Industrial Property. In 1982 began the launch and management of the Purchasing – Parts Operations – Ford Italy, where he later worked in the Marketing Service, as manager of vehicles Customizing and special projects, such as alternative fuel vehicles, for the development of new business. He has, among others, extensive experience in the automotive service industry. Entrepreneur and manager in the engineering industry has gained experience and expertise in the field of internationalization, in particular for the development of sales networks (direct or on cooperation), strategic alliances and complex Joint Ventures. Expert in international relations, Advance Business cooperation, collaboration programs between networked enterprises. Chairman and Member of the Executive Council of Associations and Italian and European Federations of manufacturers of capital equipment for the performance of industry and manufacturing processes. Ronald is a US citizen who has been living and working in Italy for over 30 years; he has extensive experience in large multinational FMCG companies like P&G and Mattel Toys, covering significant roles in sales, marketing and top management. As an entrepreneur, he has been involved for over 15 years in all phases of innovation, design, development, international production, marketing and distribution in a wide range of sectors of the consumer business, working mostly in the Far East, Europe and North America. Currently, he works as a consultant and professor of strategy, start-up and CEM. Ronald received the BS in International Marketing and Finance from Miami University, Oxford, Ohio. Pierre, advisor of GEN Brasil for exports in the agri-food sector, has experience nell’agency and trading of quality Italian products, gained in the last 5 years, after a long business experience as key account of large customers in the telecommunications sector for multinational companies. Adriano is an expert in logistics and supply chain management, in particular in the production and distribution of beverages; he has worked on the design / optimization of the logistics network of a major multinational company with the aim of maximizing the service while minimizing associated costs. Adriano has a decade of experience in managing complex projects, such as those who are involving international working teams. He has a degree in Electronic Engineering from the University of Bologna. Barbara has more than 13 years of experience in the telecommunications market B2B, built in various functions, from the client portfolio management and customer relationship management to sales and online; Barbara has extensive experience in the management of the customer base through various contact channels: direct mail, call center, telesales, web. She has skills in marketing / communication, as well as analysis and business intelligence (management of databases, tools for analysis and management of customer relations. In the last four years she has been gaining extensive experience in e-commerce and e -CRM. Brazil was ranked in 2013 on the 7th place among the economies in the world. It is the fifth largest country, both geographically and for population, and it is today one of the largest economies, with still a high development potential, currently held by internal structural deficiencies, for which the Government has recently launched a plan of reorganization and expansion, allocating enormous resources. It is one of the countries with the greatest natural resources in the world: iron ore and bauxite (aluminum), gold, silver, oil (it is 4th in the world for the daily production of barrels); it has immense agricultural resources (coffee, cellulose, cocoa, soybeans, corn, sugar cane, fruits, cereals) and livestock (cattle, poultry, pigs), for which it is a great manufacturer and exporter (1st place for soybeans, coffee, orange juice, beef and poultry). It is also one of the largest producers of energy from renewable sources. The hydroelectric plant of Itaipu, on the Parana river, between Brazil and Paraguay, is the largest in the world and, with 20 generators and power of 14 GW meets alone 90% of the electricity needs of Paraguay and 25% of Brazil. Other plants are currently under construction. All this, combined with the extraordinary industrial growth and the government program for the expansion of infrastructures (US$ 80 billion spending), is placing Brazil among the countries with the highest growth potential in the world. This growth has led, over the last 10 years, to a large-scale redistribution of wealth between the social classes of the country, where now 60% are from the middle class. First capitalist country to have attracted the ten largest car manufacturers on its territory, Brazil is now among the 20 largest exporters in the world and has regular and intensive trade relations with over 100 countries. The development of science and technology, so far strongly supported by the Government (Brazil develops, for example, submarines and aircraft, is active in space research and is a pioneer in the search for oil in deep water), an industry highly developed, diversified, dynamic and highly innovation-driven, solid financial sector and reserves of over US $ 360 billion, an internal market among the most attractive in the world, with over 100 million potential buyers of both primary and durable goods, with a high buy propensity and concentrated in urban areas, the overall optimism of many financial analysts for its future, despite the current period of stagnation / recession and scandals for the black funds, are attracting companies from all over the world. Between 2009 and 2013, have already been completed M&A for a total value of 154 billion dollars, out of which, 41% by the United States, China and Spain. The “Made in Italy” is appreciated, even in areas (B2B) that are not directly related with the final consumer, such as, for example, the precision engineering and ICT (Information & Communication Technology). The Brazilian industry today has a great need to bridge the gap in global competitiveness in many sectors – primarily the food industry, which in the last 10 years has had great development – need that Italian companies, appreciated for innovation and flexibility, can effectively meet, through the transfer of technologies, know-how and excellent training. The medium-term outlook of Brazil now depends on the success of the current measures and on increased investment and further reforms that can promote growth. For Brazil, it is the decisive challenge: the success is linked to an ambitious goal of sustainable productivity and competitiveness. For its achievement the Italian companies can play a major role, with the provision of advanced machinery and technologies. The country attracts more than 6 million tourists a year, with a growing trend; boasts an ecosystem among the most extraordinary in the world (Pantanal, Amazon), beautiful beaches and inland, favourable climate, democracy, openness to many different people and customs (it is a multiethnic country, with a high degree of racial integration, although still persist serious social problems). Selling successfully in Brazil means very often selling as well in other countries of South America, for wich Brazil is a privileged access “door”. The above considerations get Brazil, for all companies in the world, one of the most attractive and, for this reason, also of the most competitive markets. It is therefore necessary to study well the market entry strategy, through a detailed analysis of all critical parameters and a robust action plan. One of the common mistakes is to think that it is enough to send a container of products to Brazil to easily find some distributor or get an agent to represent your company. Not only it is sometimes necessary to substantially change the product, but the adaptation must involve the whole company, which must acquire the processes and service levels that meet the standards Brazil. Many company owners assume they already know how to move in Brazil, because they had some contacts in the area, no doubting they may have received misleading or incomplete information, albeit in good faith. Very popular is the illusion that Brazil is a relatively easy market, because, although the rules are often more complicated than elsewhere, the Brazilians are well disposed towards the European products, which can take advantage of the superiority in design and/or technology (this belief by the way, after closer inspection, at times was untrue). They are wrong: the Brazilian market is “super-crowded” with competitors coming from all over the world; so it is expensive, competitive and provides forms of protection for the benefit of local producers, which raise the cost of entry of the imported products and can put them immediately out of the market. It is very risky to invest in Brazil without a thorough market research and a solid business plan. Particular attention should be paid to the so-called “Brazil cost”, which is not only made up of duties and other taxes on entry, which are always multistage cumulative, but also by the logistics and product handling costs, due to poor infrastructures and long distances to go. Other problems, with related cost increases, may result from the difficulty in finding skilled local labor and from management of legal and fiscal aspects, because of a strong bureaucracy and a complex system of taxation. Brazil has continental dimensions, considering that on its territory there are 6 different climates and three different time zones; it is made up of five major regions and 26 states + 1 federal district (where is the capital Brasilia). Each region has features that distinguish it, even in a radical way, from the other ones and each state has its own rules for the application of taxes and the distribution of funding and incentives to businesses. Setting a strategic approach to the market, you should be aware of all these and other factors. For certain categories of products, it is appropriate to set a different strategy for each region. – believe that your competitiveness can be based only on the technical level/quality of the product. Providing a product/service above the average is only the minimum requirement to engage themselves in the Brazilian market, but it is not enough; it is only the first step of a long journey that characterizes the commercial development of a company in Brazil. Intensive efforts, time and money are required in the creation of networks of sale or in the definition of commercial partnerships. Moreover, if the product is really exclusive, more investment is needed to promote the brand. It should also be pointed out that the Brazilian market is a “market of relations”, which relies heavily on interpersonal relations and frequent contacts; then it is crucial not to underestimate the importance of Fairs, Conventions and all actions of marketing/promotion, in support of the sale of any product and service. Many times it happens that companies invest tens of thousands euro in fairs and visits to customers, reaping great expressions of esteem for their products, which are predicting positive business developments shortly. Unfortunately this promotion of their products is totally nullified by the fact that, after a few days, there is no one in the area that will continue to fuel it. The Brazilian does not establish a business relationship based on just a product catalog, however attractive it may be, and a visit card; it is a big mistake to underestimate the need for “closeness” to the client, which includes construction of mutual knowledge and respect, timeliness and clarity in the responses and frequency of contacts. It is very risky to rely totally on distributors, agents or representatives, especially if they are also engaged with different firms. It is necessary to pay close attention to the certifications required for the products and to the local rules governing relations with distributors and customers; Brazilian lawyers are expensive, as elsewhere, but it is always better to get the assistance of a local professional, rather than running into unpleasant situations. In Brazil, in fact, the rules must be respected; shortcuts and “cunning” may seem like winning the first few times, but in the medium and long terms there is the risk of paying the bill with interests. To operate in a stable and continuous way in Brazil, many times you need to rent an office and/or a stock facility, buy a car for your employees, etc. Unfortunately the new released branches do not have a “history of debts paid”, reason why the credit institutions are not yet able to verify the reliability of the client. This means that, even for the most solid companies of its kind in the EU, it is not generally possible to obtain from banks leasing for buying a car or credit cards for everyday purchases. Even suppliers, initially, could not grant extensions on payments to 30/60 days. d) where are stocked your products or spares? You should always indicate a warehouse where you have stocks of products and spare parts; Brazilians are afraid of being abandoned by Europeans, once they have purchased the products. Only after passing this initial screening, Brazilians buyers consider foreign products. For the Brazilians, there is no buying activity if adequate post-sales activities are not secured; reason why it is essential the presence of a local facility, for the storage of replacement parts, and of specialized personnel, able to provide service within few hours. It is also wrong to think that you can worry about the after sale process only after scoring the first sales. Very often companies that sell equipment or machinery in Brazil have to send their technical staff for installation or final testing at customers premises; it is necessary in this case that their technicians have a specific work visa for Brazil. To issue work visa, it is necessary that a company based in Brazil or a subsidiary based abroad, or a company having a representative contract with a Brazilian company submits a request directly to the “coordenação-Geral de imigração – CNIg “the Brazilian Ministry of Labour. Even entrepreneurs and investors must 0btain an appropriate visa to work in Brazil; in this case you must submit a business plan and demonstrate that you have the “relevant” funds to start and run the business. May request this type of visa foreign nationals certifying the investment in foreign currency, for a value equal to or greater than R$ 150,000.00 (one hundred and fifty thousand reais). In the evaluation, the following elements will be examined: compatibility of resources vs. expected investment, the nature of society, productive arising effect and social interest. Managers and directors can apply for the permanent visa; the application is to be submitted to the “coordenação-Geral de Imigração – CNIg” the Brazilian Ministry of Labour. The Brazilian territory covers an area greater than that of Europe EU: this involves a long time for local transfers and high costs of travel and logistics; the Atlantic ocean is a geographic barrier that complicates any transport operation from Europe. All this impacts significantly on the level of service, which is very important issue for the Brazilians; if any city in Europe can be achieved in a day from any European state, this is almost never possible if you want to visit a Brazilian state from ‘Europe. Also among European countries there are similarities that make the market basically homogeneous, while the Brazilian market is very different from any other European market and varies from one region to another. One of the most common mistakes is to think you can operate in Brazil like you do in your country, as when dealing, for instance, with Italians, or Frenches, or Germans. Many times entrepreneurs underestimate the cultural differences between the two countries; you must be careful to the written rules and, also, to the not written ones, in the Brazilian business culture. In case of Acquisitions, it is recommended to immediately implement a program of “change management” for the local staff, who often need also an upgrading training, to achieve satisfactory levels of productivity. This market research is done through consulting internal or external suppliers database, interviews with leading professionals in the field of investigation and oversight of sector exhibtions. Research in Brazil of concessions granted to attract investment from abroad. Such incentives may be: public funding or subsidized grants, tax credits, simplifications in issuing work visas, etc; incentives vary according to the federal state, the region of destination, the business sector, (e.g. energy, ITC, pharmaceuticals), the number of jobs that foreign investment generates in Brazil. Are obviously subsidized companies investing in Brazil in an activity not only commercial but also productive. Research in Brazil of private funding from venture capital firms. GEN Brasil is able to process documents for its customers and requests for obtaining public or private funding, both in Italy and in Brazil. You must comply with work visas requirements, because the Brazilian laws do not provide shortcuts. There are various types of work visa for Brazil, which differ depending on the activity and the role of the individual in the country. The sale of products / services through an indirect sales network can be a first step to penetrate the Brazil market, as well as a great tool to test the appeal of its products directly in the territory. These distribution channels are not very risky, because they require remuneration only in tcase of concrete results but have disadvantages related to the fact that the company has a “mediated” knowledge of the real market situation, does not have direct contact with end customers and overall does not get any chance to plan a steady flow of sales. These channels are suitable for sale of consumer goods and products that do not require pre-sales activities and a high level of after-sales service. They are very effective in reaching retailers but preclude direct access to retail chains. The line between success and failure is usually marked by the selection and choice of intermediaries. The service allows you to start its own sales office in Brazil quickly, without upfront investments and maintaining its flexible organizational structure. He has a profile mid-senior, able to conduct a market research and launch a trade negotiation. This service provides for the participation of GEN Brasil to the results of sales and / or exercise of a Brazilian affiliate of a European company that intends to market and / or produce their products in Brazil. In offering this service in January Brasil select very carefully the candidate companies and products / services to market, through surveys and market tests directly in the territory for a limited period, but enough to draw any meaningful conclusions; the market test is borne by the customer. In offering this service in January Brasil select very carefully the candidate companies and products / services to market, through surveys and market tests directly in the territory for a limited period, but enough to draw any meaningful conclusions; the market test is borne by the customer. 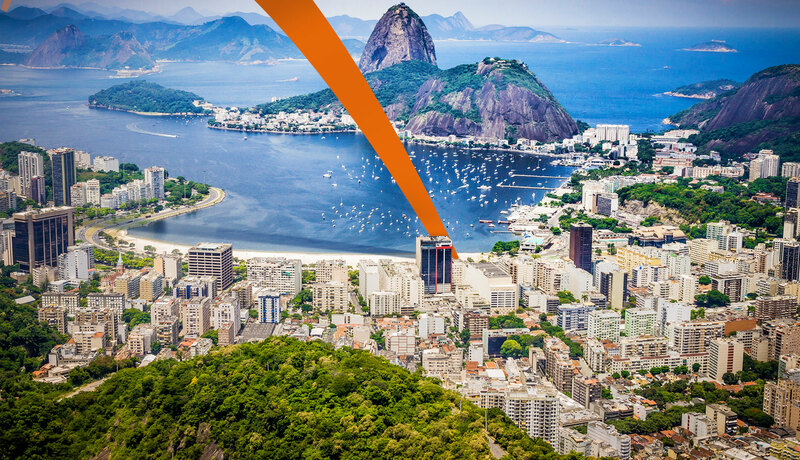 If the above tests have been positive, GEN Brasil can evaluate their participation in a joint venture with the client company, which provides the resources for the start-up and business development in Brazil. Sharing the results of the joint venture will depend on the contribution to investments and operating costs that GEN Brasil and the client company cover individually to develop the market in Brazil. The customers of GEN Brasil are transversely belonging to almost all sectors, although we can boast a solid experience in the mechanical industry, in the automotive sector, in manufacturing and, of course, in the areas where the “Made in Italy” – fashion, food, cosmetic, mechanical and automation, furniture/design – excels. activities on “success fees” basis: in general we do not provide services for which is agreed compensation with “reserve”, reason why all our research activities (partners, distributors, employees, buyers, etc.) require a fee, monthly or on “project”, proportionate to the use of our resources. 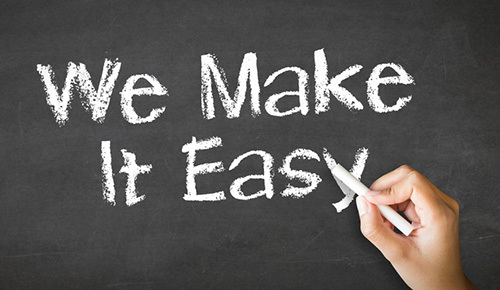 It is not possible to specify in advance a fee standard for delivering of our services; our proposals are always customized, depending on the expectations and the activities required by each customer; It is not available then a predetermined price list. The calculation of our fee is the result of the careful analysis of the use of the resources required to honor the promises made in the contract. It applies to services for wich we know with certainty what will be the use of our resources; in this case the cost of the service is well-defined and agreed before the task. Example of services typically on “project” are: feasibility studies, establishment of a legal entity. It applies for services we do not know for sure what will be the use of our resources in project development, for the presence of variable not definable “a priori”; in this case the cost of the service is defined on the basis of an hourly / daily rate that is applied to the use of our resources; at the end of each month, an invoice is issued with indication of the spent hours; every week we detail the activities that will be billed at the end of the month. Sometimes it is indicated in the contract a maximum of monthly spending, after which permission must be requested to the customer. It applies to services that we know with certainty what will be the use of our resources over a period of time; in this case the cost of the service is well-defined, agreed before the start of the business and is paid on a monthly basis. Examples of service typically on “rent” basis are the management of administrative activities and logistics. There are no “on commission” or “success” fees, as GEN Brasil does not provide sales activities on behalf of its clients. certifications, labeling and adapting of production processes for the export of food: these services allow food companies to have guidelines to fully comply with the regulations for export to Brazil, for all food products from Italy. If not completely “under rule” any food product shipped from Italy is likely to be rejected or destroyed. business due diligence & corporate intelligence: these services are aimed at the analysis (screening) of the reliability, economic / equity robustness and reputation of third parties (individuals and companies) with which the client is considering embarking on a partnership or a collaboration, even temporarily. Knowing your business partners is the first step towards a successful strategy, particularly when it comes to companies and people, both geographically and culturally, “distant”. organization of trade fairs and design of exhibition systems: fairs are one of the most important promotional and commercial activities for companies seeking to enter and expand in Brazil; you must then rely on specialized partners, able to design and create any type of display system. To achieve this task requires a specific know-how, organization and timeliness. funding for the internationalization of your company through a process of crowdfunding: Equity Crowdfunding is an alternative to bank credit and to the institutional means for raising capital to finance useful projects of development of an enterprise; now also in Italian unlisted SMEs can raise funds from the public through the sale of shares in the company, “quoting” on unauthorized Internet platforms.